Your controller is faster than mine! When playing games as a child, everyone wanted to be player one. This was at the same level as being allowed to sit in the front seat of the car (anyone who isn’t an only child will know about this…). Player one often had the better position on the screen, and there was some sort of mystical power that made being player one better. If someone was player two and lost, a typical reaction was to blame it on not being player one. 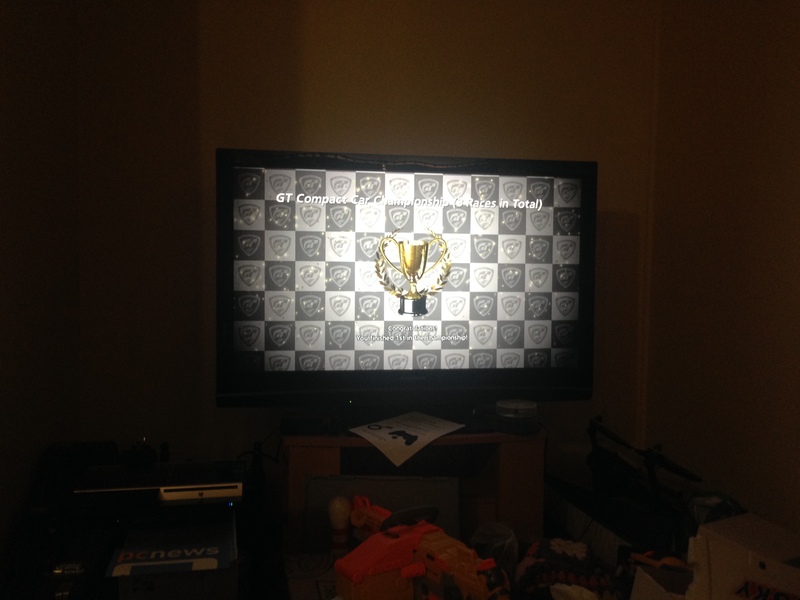 I recently went home for Christmas, and while there played some Wii Sports Resort with two of my younger cousins. While helping the youngest to play against against her older brother (as she was didn’t quite have the ability to challenge her brother who was three times older) we achieved straight wins, due to my lightning fast reflexes. By the third defeat, he declared that his losses were due to his controller not working properly. In a complete act of jerky-ness I proceeded to swap controllers and continue to win. With his argument defeated using the scientific method he silently left the room. 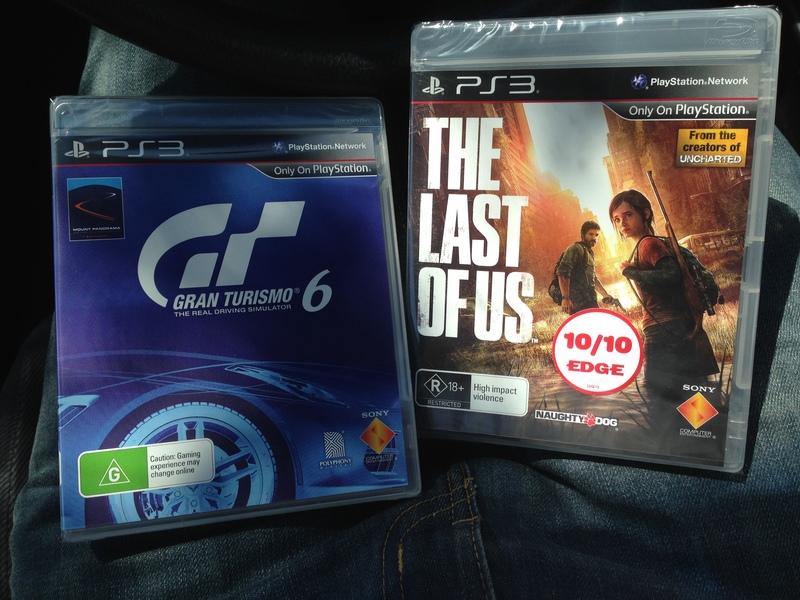 Fast forward to this morning… Being my last day of holidays, I decide to play some Gran Turismo 6. I started the “GT Compact Car Championship”, racing a Clio RS I had in my garage (with only upgraded tires). The first race of the championship (a fairly tight technical track) went quite well, but as I hit the back straight of the second race, there was no way that I could keep up with the other cars that I had managed to easily out maneuver in the previous race. Getting ready to accept the fact I would come in last on this track I accidentally bumped the right thumbstick, at which point the car accelerate forward and started to close the gap in the race. 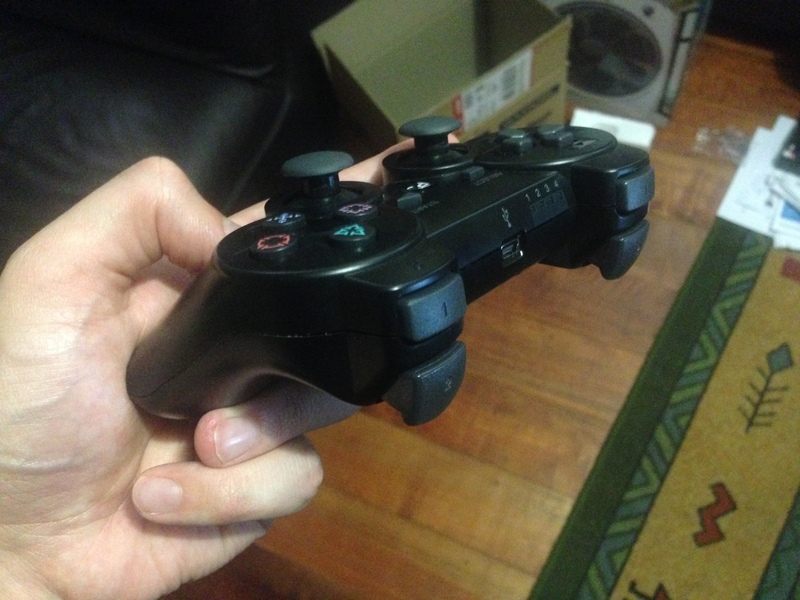 I had remapped the controller, so that the R2 button (the lower of the two right shoulder buttons on the PS3 controller) controlled the throttle, as I find this provides more control over the throttle and seems to be the logical button to use for the accelerator. By default though, Gran Turismo 6 binds the X button as the throttle and also uses UP on the right thumbstick. At this point I realised why I had been losing the race: the right trigger (R2) of the dodgy imitation PS3 controller that I using didn’t go all the way, so when it was fully depressed, the car was only running at about 80% throttle (for a tight technical course this was ok, but for longer straights this wasn’t enough to keep up with the other cars). I had noticed similar problems in other races (though they were more pronounced and only allowed the car to get to 50% throttle) so I’m guessing that inside the controller there is a loose connection or mechanical issue that somehow stops it registering the button press as 100% sometimes. Luckily, I had another controller (a genuine controller) which I was able to connect. Using this controller, the car was able to reach 100% throtle when the trigger (R2) was fully depressed. As I’ve been switching between the two controllers as I’ve played the game so far, I’m not sure which races were a struggle due to the limitation of the button. With the significant increase in the power of the car provided by the working controller, I was easily able to win the championship. While this isn’t really very exciting for anyone other than me, I thought the whole experience was quite interesting. It reminded me not to jump to conclusions (I was losing the race and just assumed that I had the wrong car or was driving poorly). 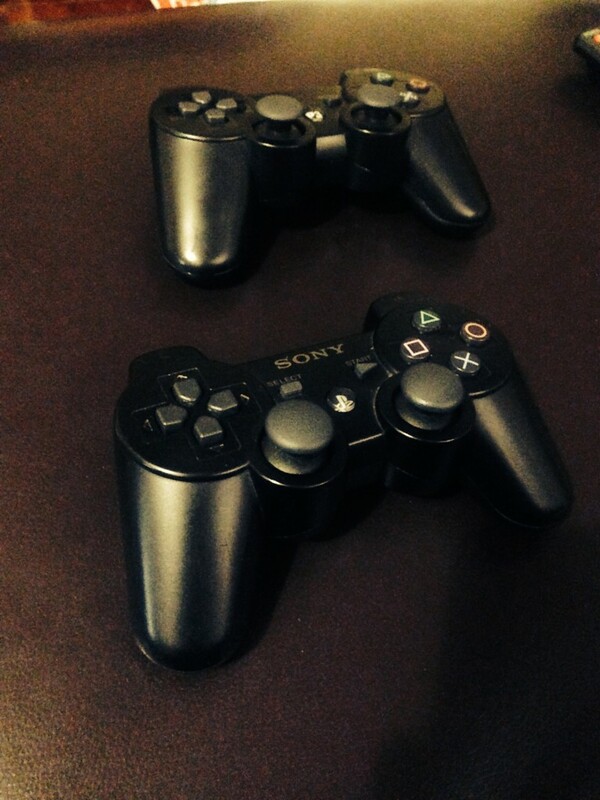 It also reminded me that often the cheaper option (knock of controllers in this case) isn’t sufficient. The final thing that I learnt is that if I was able to get that far through Gran Turismo 6, at times using a controller that didn’t work properly, then I must be pretty awesome! This entry was written by craig, posted on January 12, 2014 at 6:57 pm, filed under Games, Rant. Bookmark the permalink. Follow any comments here with the RSS feed for this post. Trackbacks are closed, but you can post a comment.